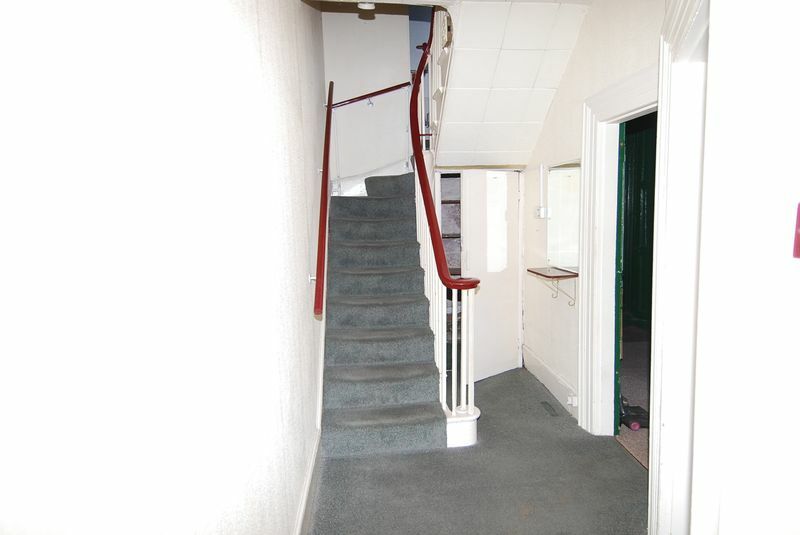 Radiator, stairs to first floor with cupboard under. 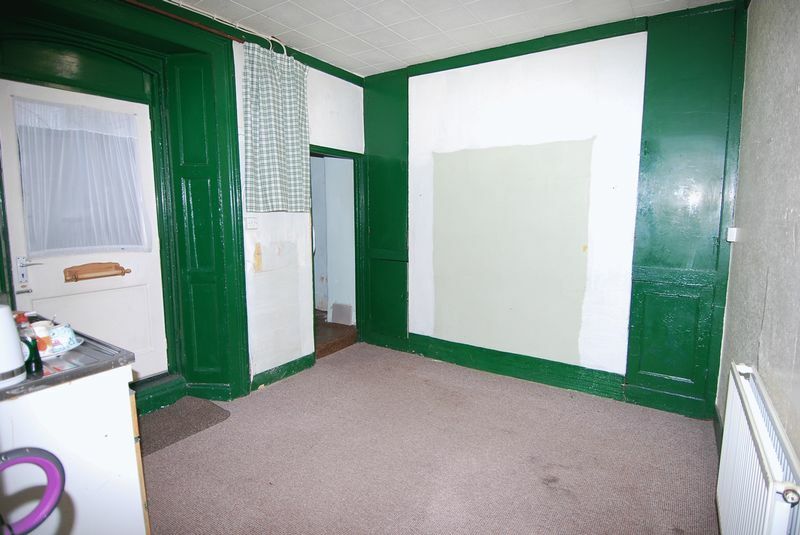 plus cupboards built into alcoves. 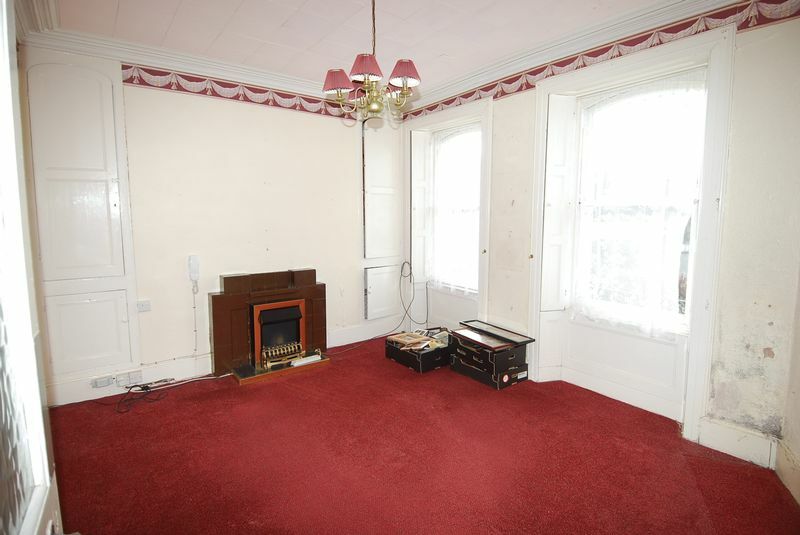 Ceiling cornice, painted tiled fireplace with electric fire, 2 arched sash windows overlooking the front and across the town centre, with wooden shutters, radiator. 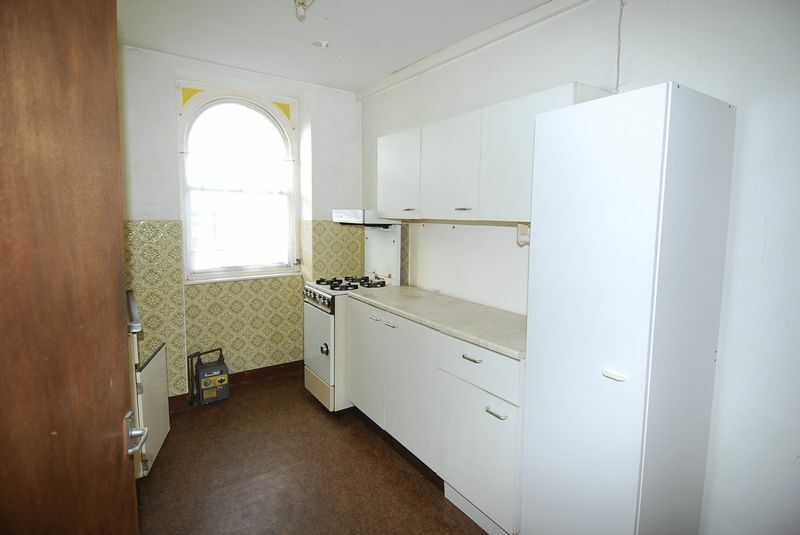 Stainless steel sink unit, gas cooker point, radiator, shelved cupboards. Part glazed door to rear porch. with door and gate to Braddons Hill Road East. Useful storage recess off which also houses Worcester gas boiler providing central heating and hot water. off. Large shower cubicle with Mira Sport electric shower, pedestal wash basin, close couple W.C., radiator, frosted double glazed window, tiled walls. 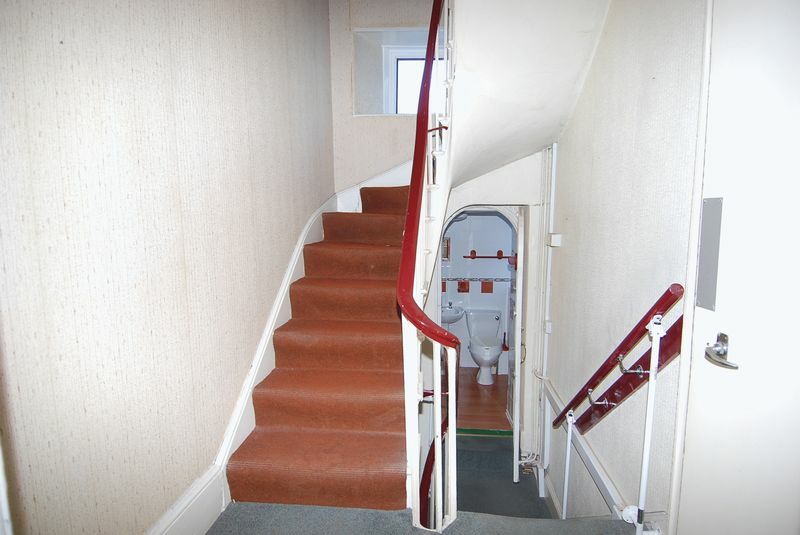 Stairs to top floor with 2 windows to the rear. 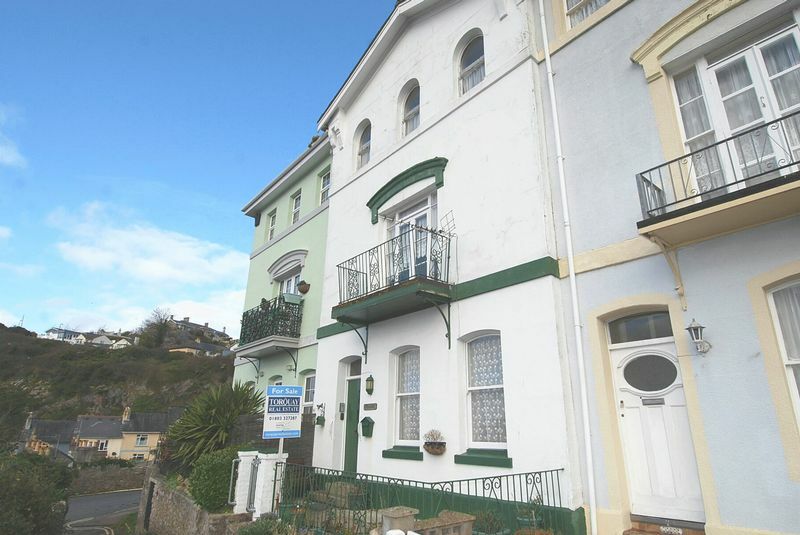 with wrought iron guard rail, offering views over the town centre and into the bay. 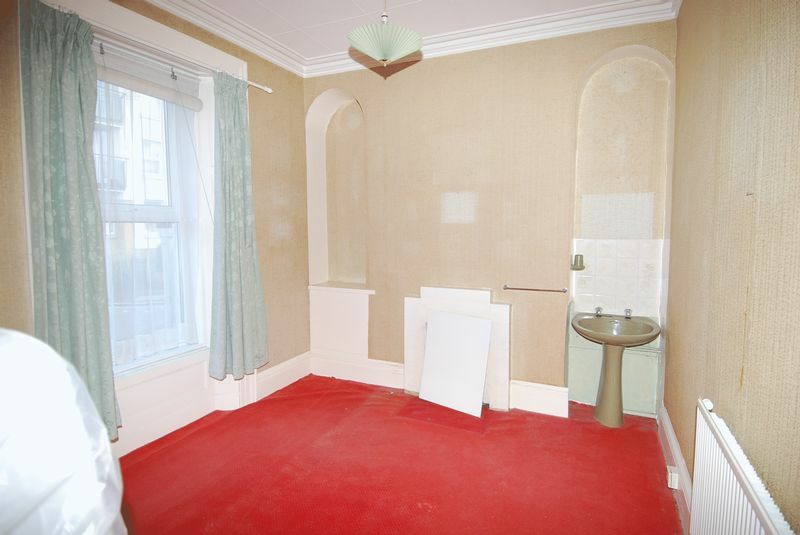 plus alcoves, one with pedestal wash basin. Ceiling cornice, radiator, double glazed window to the rear. 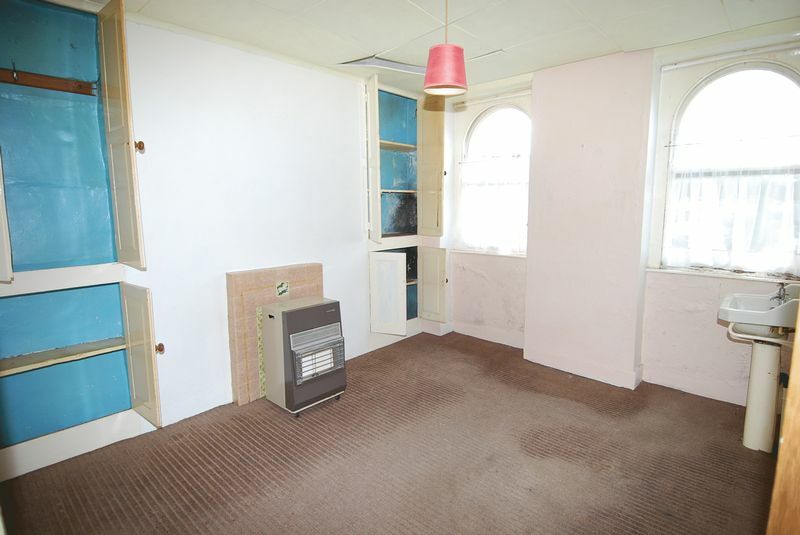 This floor has been used as a flat and is still loosely arranged as such, but would easily be altered to 3 bedrooms. 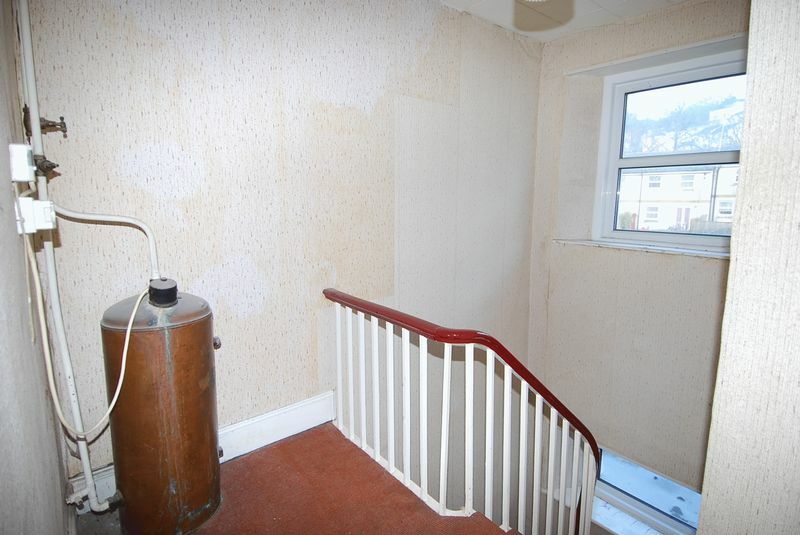 Hot water cylinder, access to loft space. 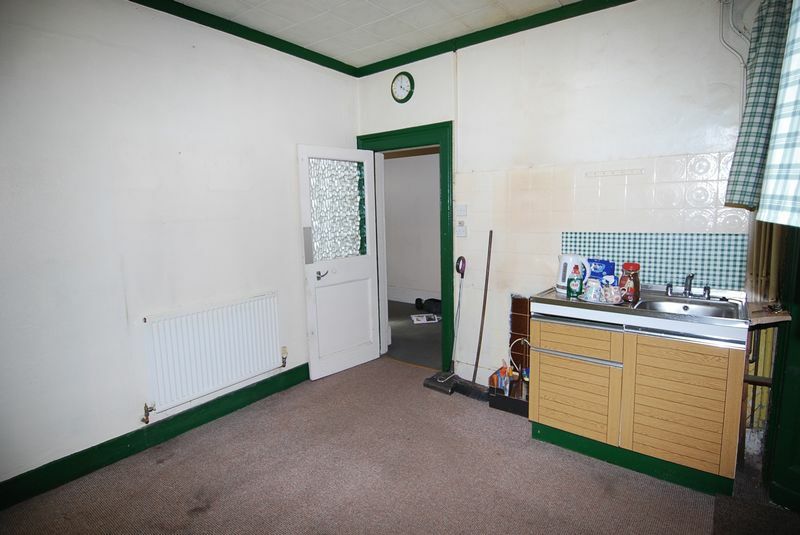 plus cupboards built into alcoves, fireplace, wash basin, 2 arched sash windows to the front overlooking the town centre and countryside beyond. 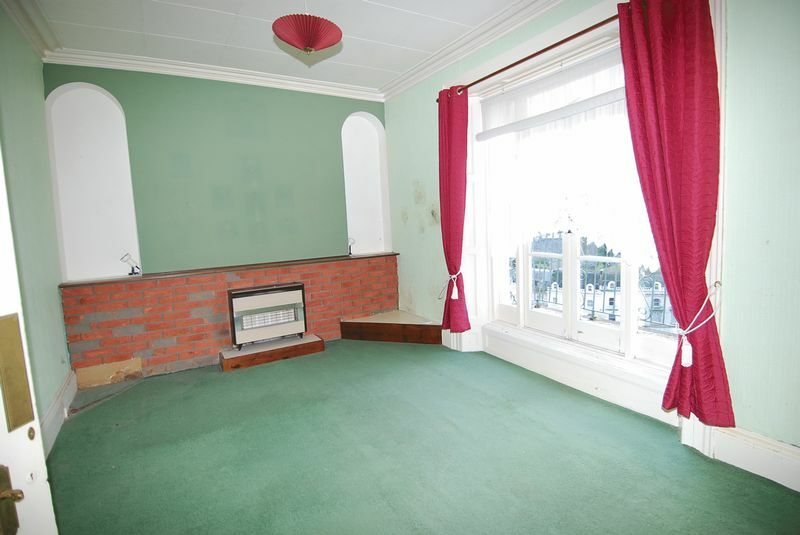 Arched window to the front overlooking the town centre and countryside beyond. Stainless steel sink unit, gas cooker, wall and floor cupboards, electric and gas coin meters. 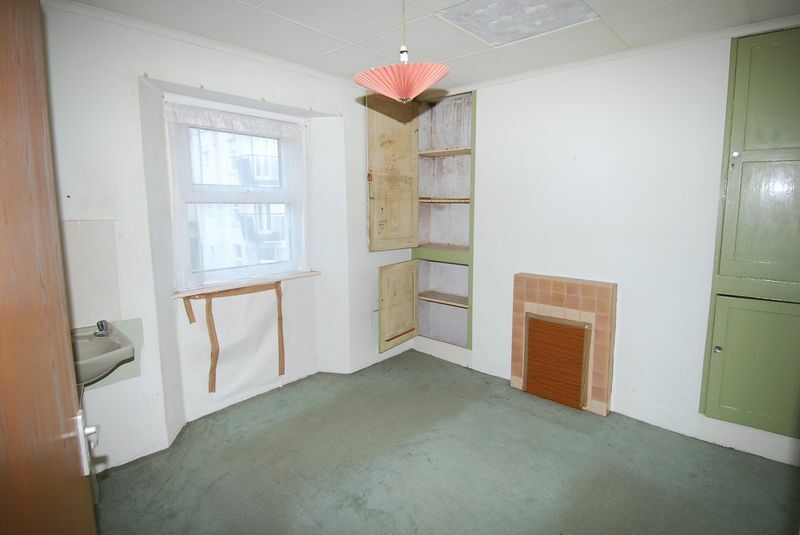 plus cupboards built into alcoves. 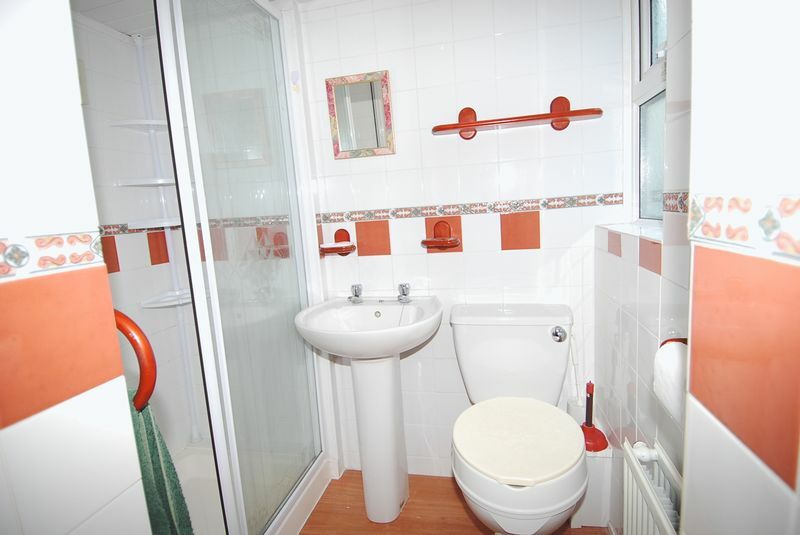 Double glazed window to the rear, pedestal wash basin. Concreted patio area with wrought iron gate and railings enjoying an open outlook over the town centre: an ideal space for potted plants and seating to enjoy the afternoon and evening sun. 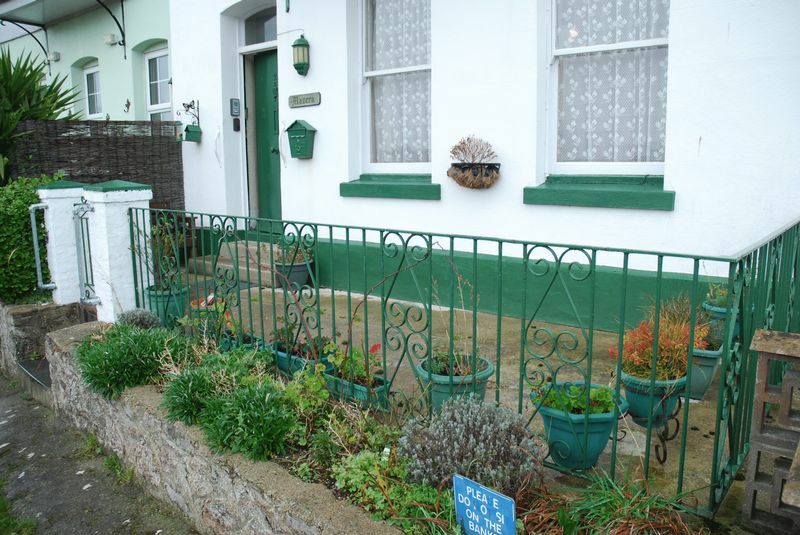 Across the pedestrian access path to the adjoining properties is a border bed planted with shrubs.